Italy is a place where love blooms freely and wildly. A culture that’s in love with love and it shines through everywhere, even their food. It’s no wonder then that when it comes to Valentines Day, Italy is a great place to be. 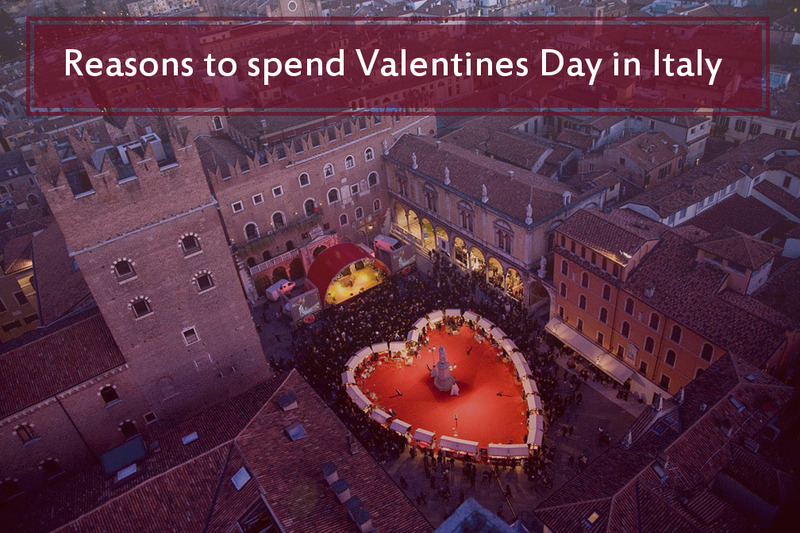 Here are some reasons to spend Valentines Day in Italy, or immersed in it’s culture. We’ve all heard the story of Romeo and Juliet. It’s set in the Italian city of Verona, a story of forbidden love. Although you’d be forgiven for finding the story tragic; it’s a story that people identify with and enjoy, especially at this time of year. 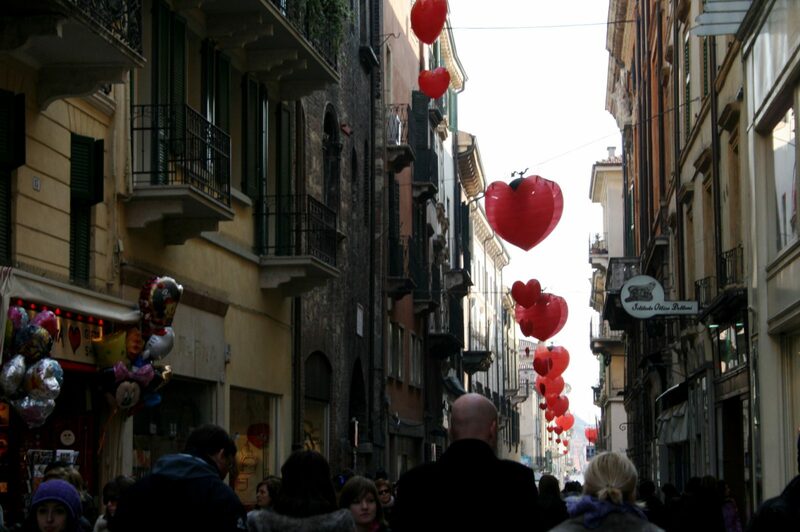 The city is host to “Un Cuore da Scoprire” (Verona in Love) every year on the 13th and 14th of February. The celebration includes an array of great events such as; the Valentines Market with stalls set up in the shape of a heart (as shown in the picture above). Romantic walks down Via Mazzini (decorated with rouge hearts), free music & dancing, love letters addressed to Shakespeare’s Juliet and more. Needless to say, the home of Romeo & Juliet comes alive at this time of year and it’s definitely something not to be missed. 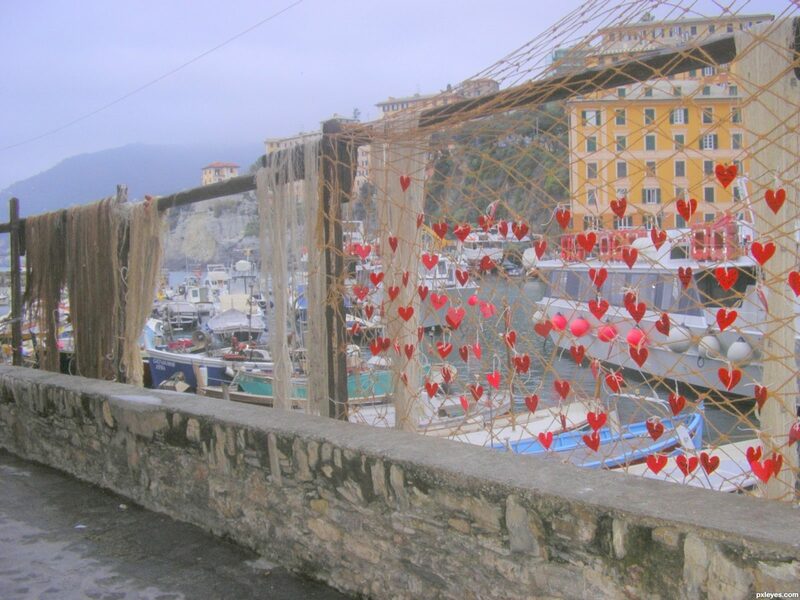 A small fishing town by the name of Camogli is home to “Innamorati a Camogli” (Lovers in Camogli) on the week leading up to Valentines Day. A number of love oriented things happen during this week, from the writing of lovers names on heart shaped cards and tying them to fishing nets in the harbour to friendly competition between bars over who can make the most romantic cocktail. Liguria is a fantastic place to visit at any time of the year, but it becomes even more magical at this time of year. A large part of Valentines Day is the act of giving gifts to those you love. Italy is no different, however the art of expressing love in the form of words is something that lives on. Letter writing is an art that is slowly fading, with the introduction of email, text and instant messaging. 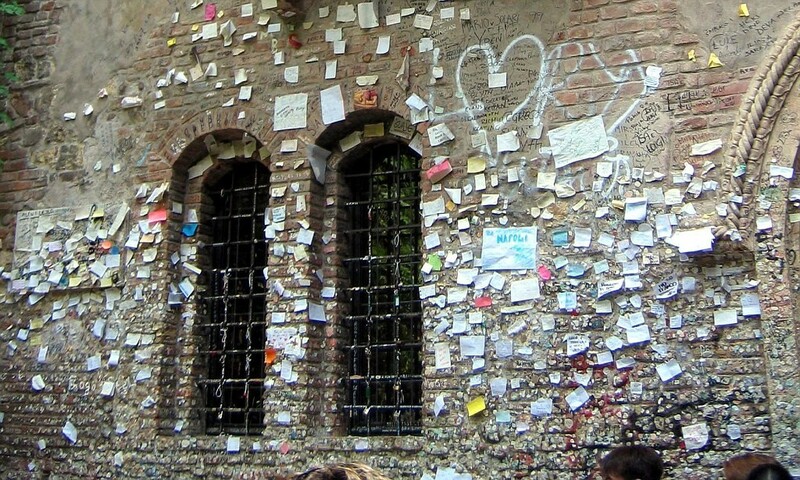 Take a page out of Italia’s book this year and consider the gift of a hand written love letter to your lover. Italy is well known for many things but we can’t forget the food. Italians pour love and passion into everything they do, that includes their food. From delicious bowls of pasta (we’re all familiar with the stories of accidental lip locking that occurs from sharing the same bowl of spaghetti) to decadent desserts, Italians really know how to get together. Needless to say, Italian cuisine is the perfect compliment to a love filled Valentines Day. Here are 5 tips for making great Italian food at home or you can call and make a reservation at Del Villaggio for this Valentines Day!